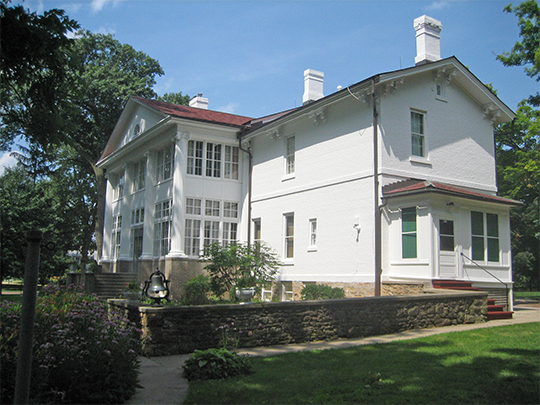 Photo: Colonel Edward N. Kirk House (Paul W. Dillon House), ca. 1857, 1005 East 3rd Street, Sterling, IL. Listed on the National Register of Historic Places in 1980. Photographed by User:IvoShandor (own work), 2007, [cc-by-3.0 (creativecommons.org/licenses/by/3.0)], via Wikimedia Commons, accessed November, 2014. Whiteside County administrative offices are located at 200 East Knox Street, Morrison, IL 61270; phone: 815-772-5100. Charles Bent, editor, History of Whiteside County, Illinois, L.P. Allen, Printer and Binder, Morrison, IL, 1877.